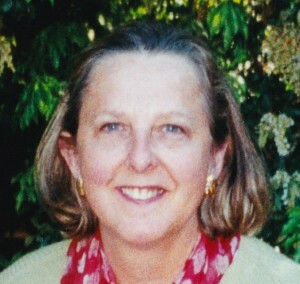 Kilduff, Elizabeth H. “Jane”. (Nee Hoffman)(February 10, 2016) Wife of James A. Loving mother to Julia C. and James M. “Mac” Kilduff. She will also be missed by her sister Cynthia “Cindy” H. (John) Affleck, and nieces Alice Affleck Bullitt and Jane Hoffman Affleck. Jane was an active member of the Wissahickon Garden Club after joining in 1984. She won over 23 entrant awards from the Philadelphia Flower Show from the mid-eighties to the present for her work in arrangement, jewelry, and pressed plants. She served as class chair for Botanical Arts and organized the judges for Floral Design. A nationally known teacher and designer of Botanical Arts, Jane gave workshops, exhibited, and judged all over the country including Hawaii, Memphis, Houston, Newport, Palm Beach, and Philadelphia. Her activity in the Garden Club of America gave her awards from 2003-2012 including Best in Show for Botanical Arts and the 2004 Barbara Spaulding Cramer award for Floral Design Education. Jane started a business selling hand crafted découpage and moved into making jewelry, especially earrings, from semiprecious stones and metal, all made by her to her own design. Jane spent many summers in her house near Charleston, SC. Relatives and friends are invited to Jane’s Memorial Service, Saturday February 27th 11am St. Martin-in-the-Fields Church Chestnut Hill. Interment private. In lieu of flowers, contributions in the name of Jane Kilduff may be made to the Garden Club of America, 14 East 60th Street, New York, NY 10022. Jane was truly a lovely woman and a consummate lady~always gracious and often hysterically funny. Her involvement with GCA was legendary. She will indeed be missed. My love to Julia and Mac. I grew up with Jane in Pottstown pa. She was one of the funniest people I know. She certainly went on to make the world a better place. So sorry for your loss.